With their cute face, little fingers, and adorable body, you would not think babies to be very superior in their own ways. Infants have skills and talents that they keep hidden for some time. But, apparently, they have failed to retain the secret. You’ve been deceived by your child. If you hear your infant crying, well, you’ve just been fooled. Infants not older than three weeks cannot shed a tear – not just yet. What you hear from them is either holler or scream. And hearing them scream does not necessarily mean they are in trouble, but it is their natural way of calling your attention. Babies are pretty straightforward and strong-minded. How? They can firmly decline or reject something with no guilt. 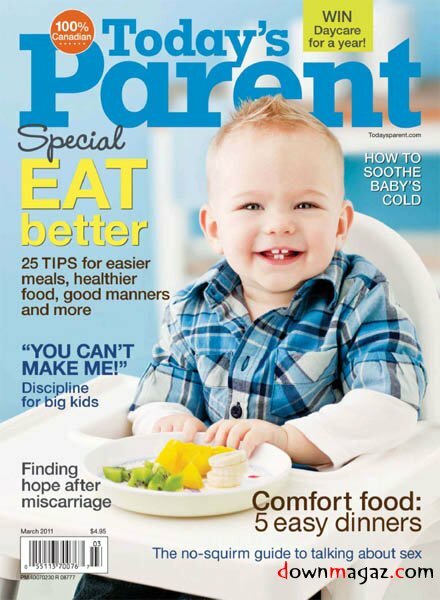 For instance, if the baby turns head when you spoon food which means they have had enough. 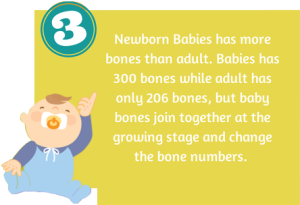 Babies have 300 bones while adults only have 206 bones. Does that mean human are growing abnormally? No. That’s just how the bone works. The 96 other bones soon combine to form stronger bone necessary for the growing body. So, you don’t have to worry about your baby losing these extra bones. Newborn babies, even with tiny eyes, can identify their mother. This is no surprise. 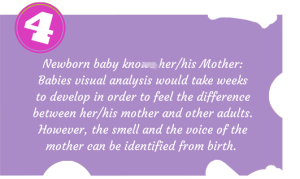 Remember, the child has lived in the mother’s womb for 9 months, and in that period, the baby’s been ‘downloading’ the maternal instinct which includes the mother’s smell and voice. That said, a child can actively recognize its mother. They may look gentle and vulnerable, but no. Studies show that babies are stronger than animals. 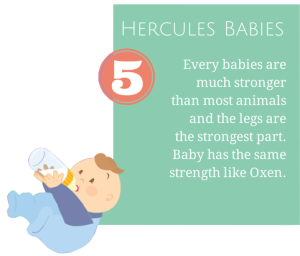 Babies have the same strength with an Ox. So beware not to be kicked by your infant, or you’ll get bruises. 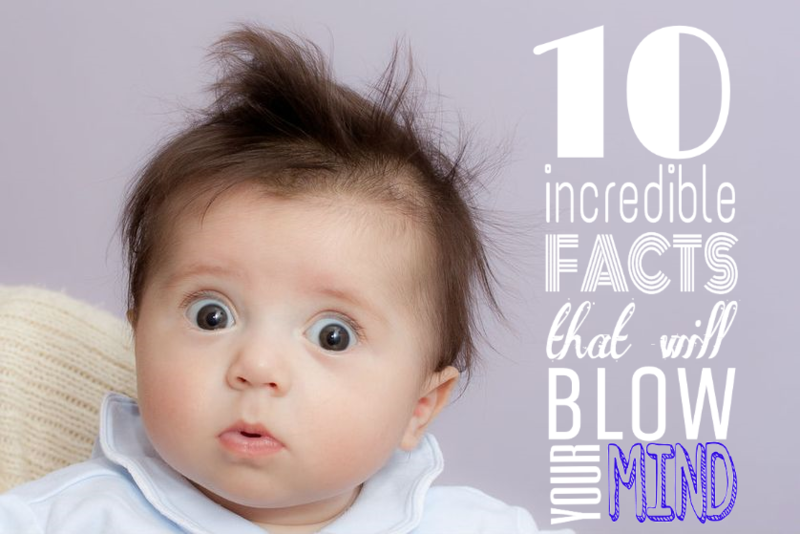 As the infographic revealed, newborn babies pee every 20 minutes. 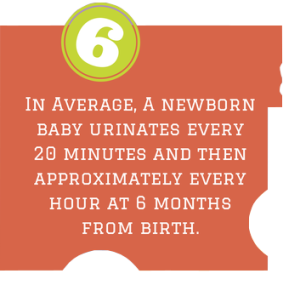 Doing the math, babies urinate up to 72 times per day. A baby’s bladder can hold 15mL of fluid, which means a baby can release up to 1080mL of urine per day. 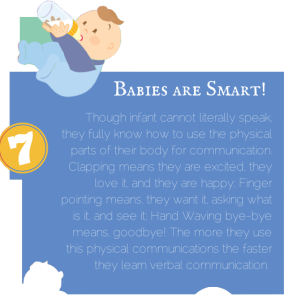 Though yet unable to speak, babies have their own way of ‘saying’ or expressing their emotions. Their hand gestures can show different emotions such as happiness, anxiety, or excitement. 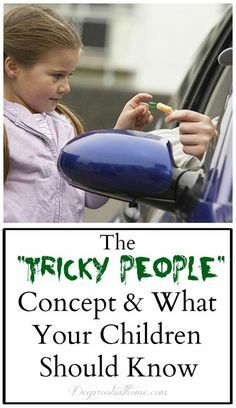 They can also recognize facial expressions like smiles and laughs – and they are capable of giving it back. 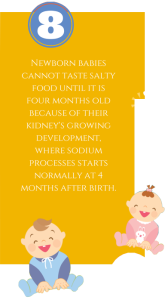 Not until their kidneys are completely developed, babies cannot recognize the salty taste. They can only start enjoying salty food until they are 4 months old. And again, babies have much than us. 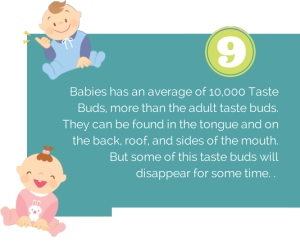 Newborn babies have 10,000 taste buds. A person has 10,000 taste buds too, except that only half of it actually works. This leaves the 5,000 taste buds on adult tongue useless. Without kneecaps, the knee is vulnerable but not for the babies. 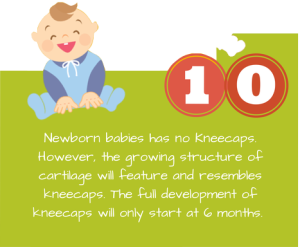 Newborn babies do not have kneecaps. What they have is a growing cartilage that acts as a kneecap. So, never fear to let your child crawl to explore the floor.